The JConcepts TLR 8IGHT-T 4.0 "Finnisher" Body is a proven commodity. Body development is a constantly evolving art that is never truely finished. In the case of the new 1/8th truck body by JConcepts, the Finnisher is a polished product. 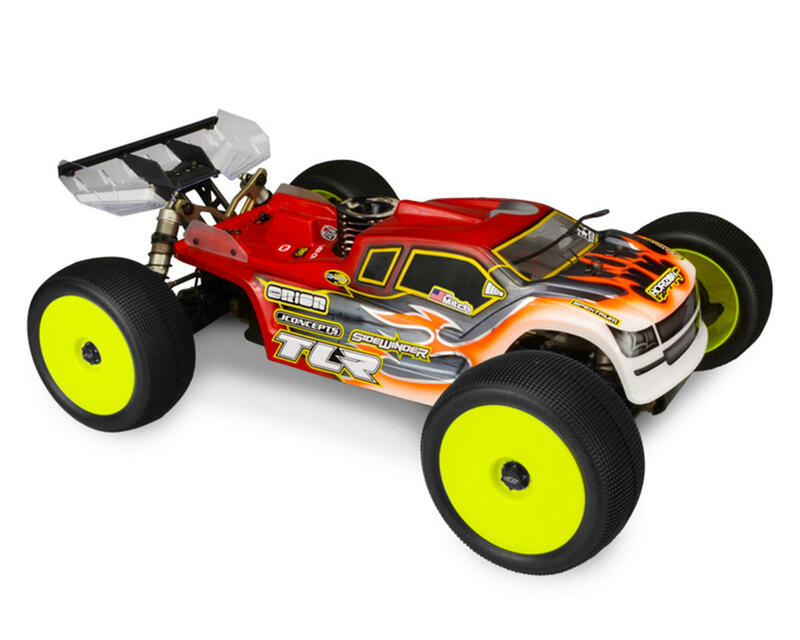 The winner of the 2016 ROAR National Championship, the Finnisher body for the TLR 8ight-T 4.0 racing truck is here to support the 1/8th truck class. 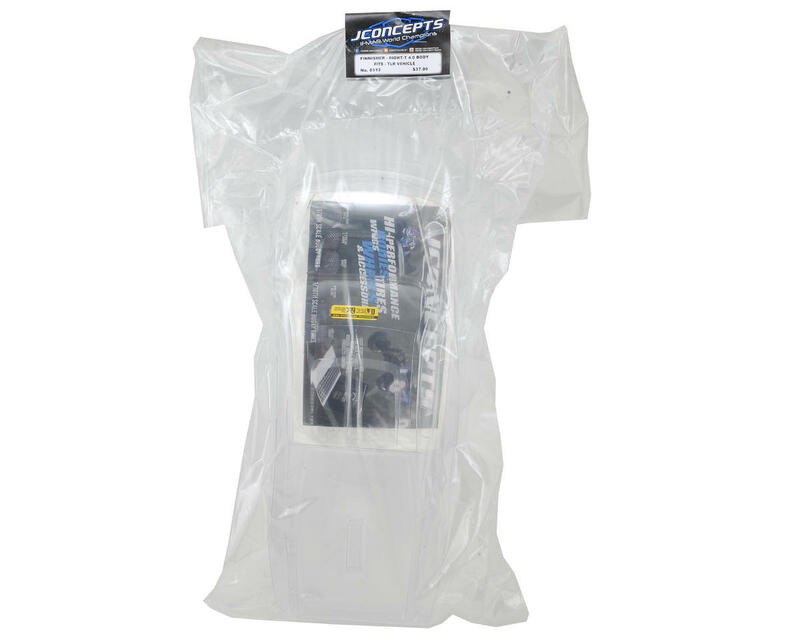 The body incorporates pre-dimpled locations for one of the hottest truggies on the market. The slight cab forward, raked windshield and aggressive stance highlight a performance oriented core. A wide front hood scoop allows plenty of clearance for the unique 8ight-T 4.0 shock geometry. The body incorporates a large center fin which begins on the roof line and finishes just past the half-way point on the bed. Extended front chin spoiler, headlight and grill protect the front-end from unwanted up-drafts during flight while the supplied decals stand-out like an 18 wheeler. The Finnisher has a built-in air escape passage on the roof which allows the customer to fine-tune the body for maximum outdoor performance. 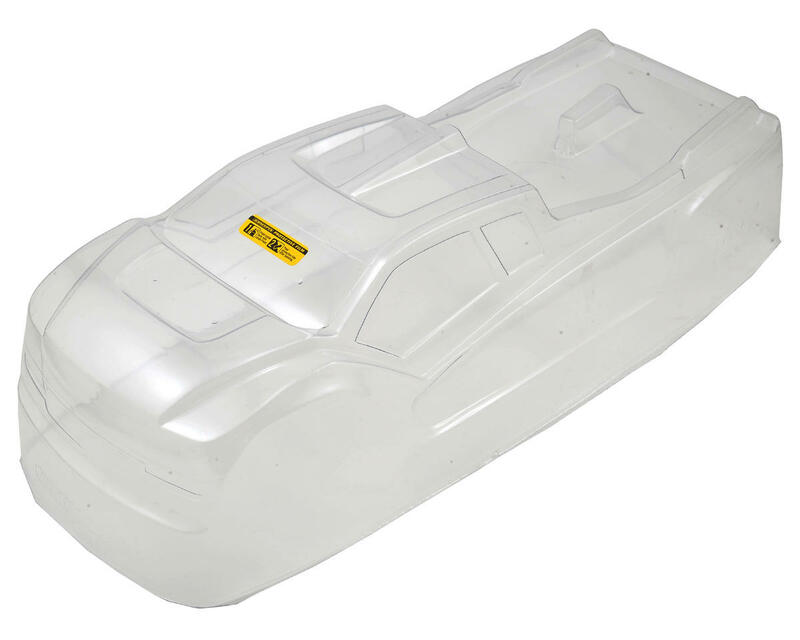 The body includes champion rear name plates which provide additional high-speed stability and improved positioning of the rear bed rails to strengthen the assembly. Overall handling has been improved by balancing the bias between the cab location and rear wing placement which control the majority of the aero affects of the aggressively styled body.